Improve the colour, shape and position of your teeth with porcelain veneers. Smiles Unlimited will work with you to choose the precise shade of porcelain to give you the right colour to improve a discoloured tooth or help make a chipped tooth look intact again. 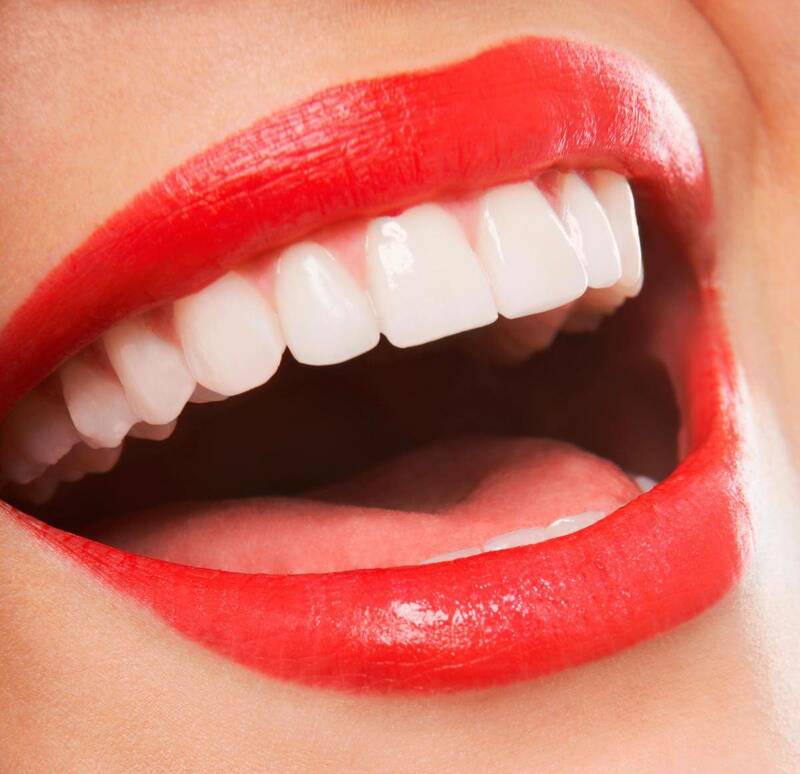 With regular care and attention, veneers can maintain their original shine and condition for many years. Dental bonding is a tooth-coloured (composite) resin that is light activated and done in one visit at our practice - no need for anesthesia and there is little tooth reduction. Porcelain veneers are very thin veneers of porcelain that are bonded to your teeth and are stronger than dental bondings and less prone to staining. To make sure that the veneer can be bonded permanently in place, a tiny amount of the shiny outer enamel surface of the tooth is removed. This will be the same thickness as the veneer to be fitted, so the tooth will remain the same size. A local anaesthetic may be used to make sure that there is no discomfort, but often this is not necessary. The colour of the surrounding teeth is matched on a shade guide to make sure that the veneer will look entirely natural.